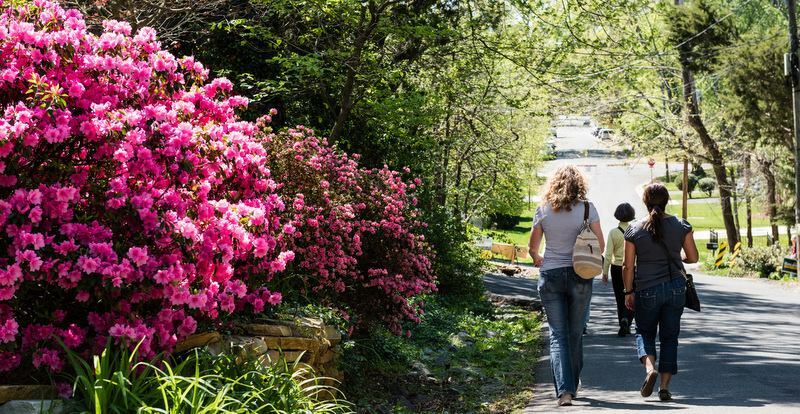 Vienna’s Windover Heights Historic District is a little secluded, but on Sunday, April 28, the neighborhood is throwing open its doors to the public for its annual A Walk on the Hill. The small neighborhood is located just northwest of the Maple Avenue near Lawyers Road. This year marks the 40th anniversary of Windover Heights being designated as a historic district. The festival is planned to include live music and photography exhibits, in addition to tours of the historic neighborhood. During the celebration, visitors are also invited to stroll through 50 participating yards and landscaped gardens. Several homes in the neighborhood date back to the late 19th century, with the local history going back further with stories of Union soldiers using the area as a cavalry outpost during the Civil War. 214 Lawyers — The original First Baptist Church was built here in 1887 by the black community on land deeded for $1 by Major O. E. Hine, Vienna’s first mayor. The material was from the Union Army barracks of the Civil War. This was the first church in Vienna and was also used as a school until the 1890s. The Barn at Windover — The barn was originally part of the Salsbury dairy farm on the hill. Handmade wooden pegs have continued being used in the building’s preservation and the original design is maintained. The West End Cemetery — The land was deeded in 1884 by Capt. Harmon Salsbury and his second wife, Susannah Freeman, to the small black community that had grown up around the Salsbury farm. Many of the tombstones date to the turn of the century and before. Thomas and Daniel West, prominent black citizens, are buried here. In 1987 Historic Vienna, Inc. rededicated the cemetery as a historic Vienna landmark. The event is free and open to the public, with local residents providing punch and cookies during the celebration. Parking for the event is available at the Green Hedges School and at the Vienna Arts Society (243 Church Street NW).